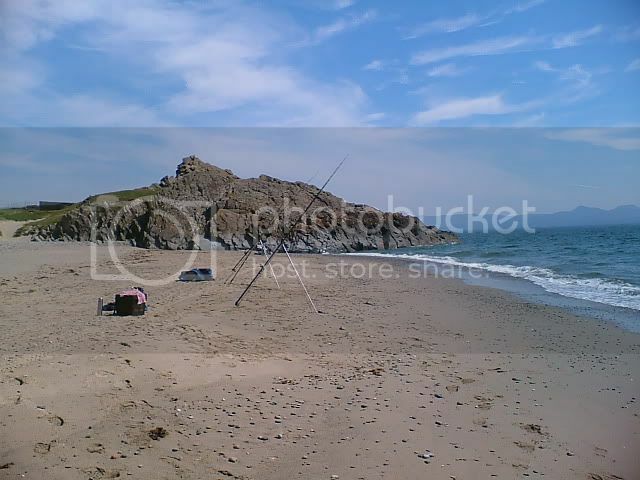 One of the most popular beaches on the Llyen,which can fish extremely well during the summer months.A steep shingle beach giving way to a sandy bottom,with deep water close in. 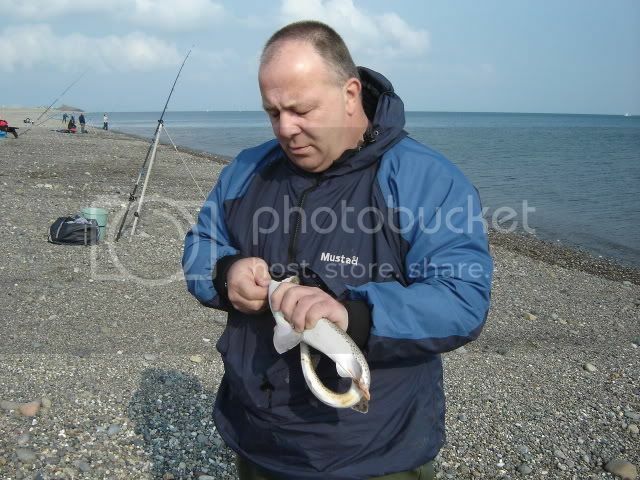 Dogfish are plentiful as you`d expect,but you will also encounter rays,bass,pollack and the prized black bream. 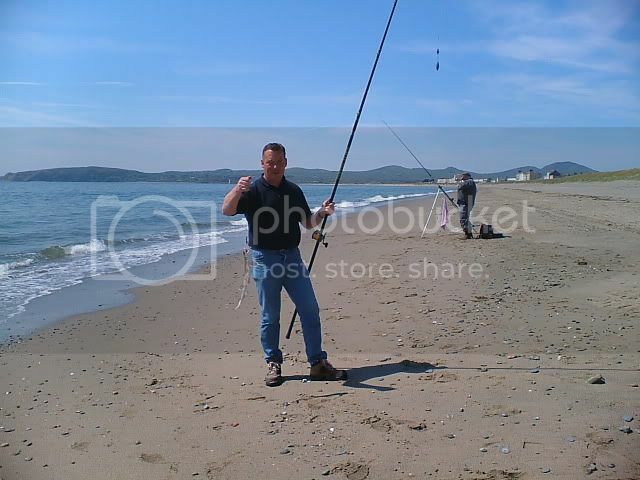 The Gimblet Rock area has a deeper channel,where good fish can be taken very close in on big fish baits.Parking for the rock is close to the beach,but involves a 100yd walk to the mark.The whole of the sea front fishes well,and there is ample close parking all the way along (50yds to the mark).You can fish at any state of tide,though fishing the flood in to darkness is prefered.Weed can be a big problem after a spell of strong south westerly winds. 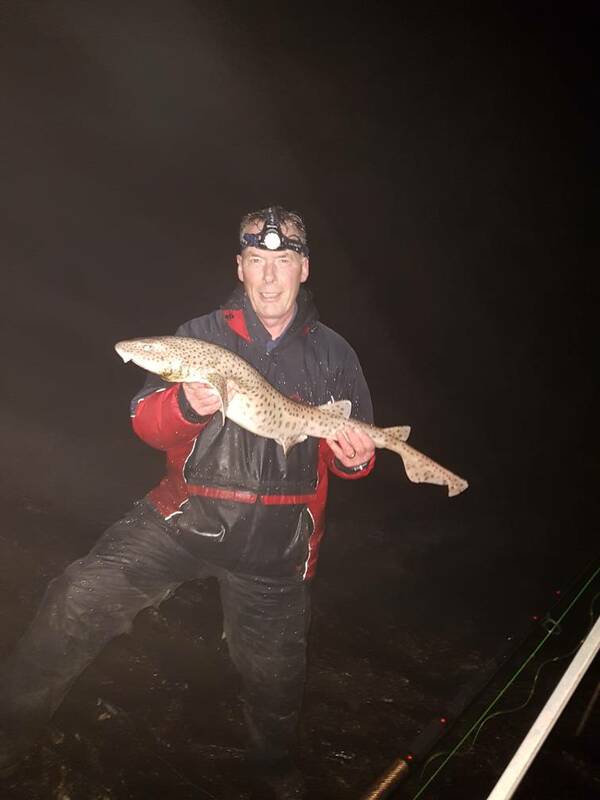 The Gimlet Rock itself is bigger than it looks in this pic,and there`s fairly easy access to it,and there`s plenty of flat ledges to fish from. Directions.........Follow the A499 in to the town centre,then you`ll pick up signs for Gimblet Rock (follow along Embankment rd) at the bottom you turn left and go through a housing estate for the rock....turn right at the bottom of Embankment rd and you`re on the sea front.There`s plenty of parking all along.